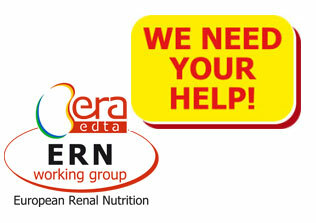 Do you wish to support EKHA and its activities? Renew your membership and add EUR 2 to your fee: this amount will be used exclusively to support the activities of EKHA. 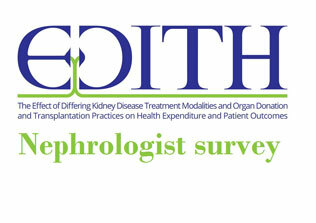 The ERA-EDTA has recognized the need to focus the attention of the political community and, through the media, of people at large-on the burden of Chronic Kidney Disease (CKD) considering patients’ morbility/mortality as well as the socio-economical impact of dialysis and transplantation in Europe. The realization of the need of a common effort, and even more to tailor the actions on a European level, triggered the creation of the European Kidney Health Alliance (EKHA) in 2007. 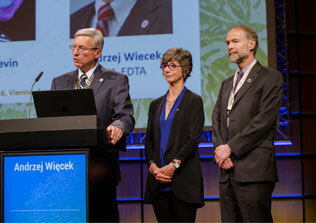 The EKHA is an alliance of four societies: besides the ERA-EDTA, the European Kidney Patients’ Federation (CEAPIR), the European Dialysis and Transplant Nurses’ Association/European Renal Care Association (EDTNA/ERCA) and The International Federation of Kidney Foundations (IFKF). 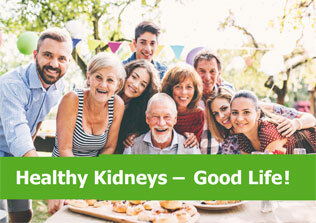 The EKHA management committee, which includes two representatives of ERA-EDTA nominated by the Council, works closely with the people involved in the European health organization to increase the awareness on CKD throughout Europe. EKHA - Horizon 2020 New research calls for "Health, demographic change & wellbeing"
Today a campaign to “Preserve Reciprocal Healthcare arrangements post-Brexit” was launched by the Brexit Health Alliance. Set up by the NHS European Office to ensure that issues such as healthcare research, access to technologies and treatment of patients are prioritised and considered appropriately in the Brexit negotiations with the European Union, the Alliance brings together the NHS, medical research, industry, patients and public health organisations; the British Kidney Patient Association is working closely with the Alliance. It calls on the UK government to commit to medical research and ensure that UK citizens’ right to receive healthcare in EU countries is preserved. The campaign highlights the possible implications of Brexit for patients, with two scenarios developed around a “good deal” and “bad deal”. In the case of an unsatisfactory Brexit deal being reached, in the case of kidney patients, vital access to dialysis sessions while abroad would be in jeopardy. In order to draw public and decision-makers’ attention to this peril, the ‘Preserving Reciprocal healthcare’ campaign aims to ensure that the current reciprocal healthcare arrangements are maintained after the Brexit, for the benefit of patients. Under the current EU law, EU citizens benefit from rights to reciprocal healthcare when they are in any of the European Union's 28 Member States, via the European Health Insurance Card (EHIC) system. The rights apply whether citizens are travelling between EU countries, living (temporarily or permanently) in another EU Member State, or travelling to another EU country specifically to receive pre-arranged medical treatment. HERE is a joint open letter prepared by eleven European health advocacy organisations was sent yesterday to EU Commission Vice-President Timmermans, EU Health Commissioner Andriukaitis, and EU Commissioner for Jobs, Growth, Investment and Competitiveness Katainen, calling on the European Commission to take concrete and imminent action on chronic diseases. An initiative of the European Chronic Disease Alliance of which EKHA is a member, the letter especially deplores the Commission’s lack of political engagement on chronic diseases and the absence of concrete action. It further urges decision-makers to effectively address the issue by implementing an EU alcohol strategy, banning industrial trans-fatty acids, adopting WHO air quality guidelines and developing salt reduction programmes. 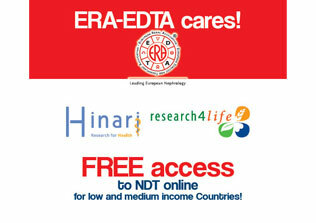 ERA-EDTA is one of the five active members of EKHA.